← STOP, READ & SHARE – You cannot eat money…. Narayanan Krishnan is a social worker and philanthropist who is most famous for being hailed as one of the CNN Heroes of the Year in 2010. 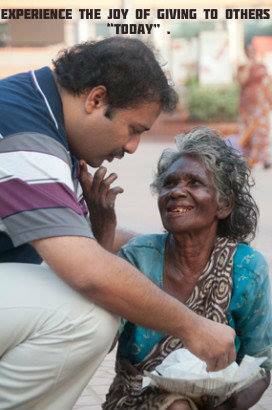 A person filled with service and compassion, Narayanan is the founder and current head of the Akshaya Trust, a non-profit organization focused on feeding the homeless, poor and mentally ill, giving them free haircuts, and providing homes so they would not need to stay on the streets.